When Black Panther opens next week, King T’Challa (Chadwick Boseman) will have his hands full from both the external threat of arms dealer Ulysses Klaue (Andy Serkis) and the internal threat of Killmonger’s (Michael B. Jordan) challenge to his throne. 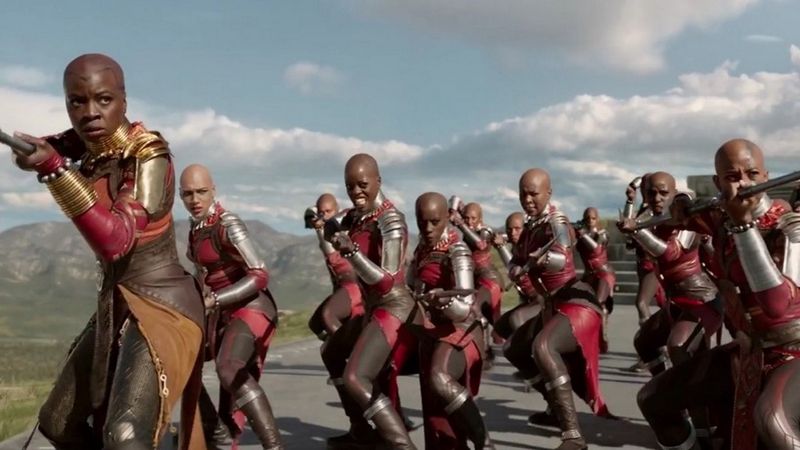 Fortunately, Black Panther won’t be fighting alone because he has the Dora Milaje by his side, a powerful team of all-female warriors who have pledged their lives to protect the throne. This new featurette sheds more light on the Dora Milaje and the struggle between Nakia (Lupita Nyong’o) and Okoye (Danai Gurira), the leader of the group. Directed by Ryan Coogler (Creed) from a screenplay he co-wrote with Joe Robert Cole (The People v. O.J. Simpson: American Crime Story), Black Panther also stars Daniel Kaluuya, Martin Freeman, Academy Award-nominee Angela Bassett and Academy Award-winner Forest Whitaker.